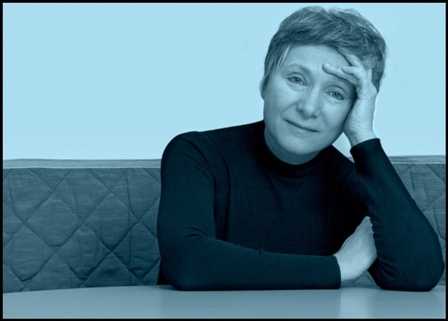 MARIANGELA GUALTIERI is regarded as one of Italy's most compelling and innovative voices. She was born in Cesena, Italy, in 1951, and trained as an architect. In 1983, she founded, together with Cesare Ronconi, the famed Teatro Valdoca, for which she serves as dramaturge. Long committed to cultivating the oral dimension of poetry and its communal, collective roots, she routinely bridges the realms of poetry and theater via her Valdoca projects, as best evidenced by the collection Fuoco centrale e altre poesie per il teatro (Einaudi, 2003) and the theatrical text in verse, Caino (Einaudi, 2011). 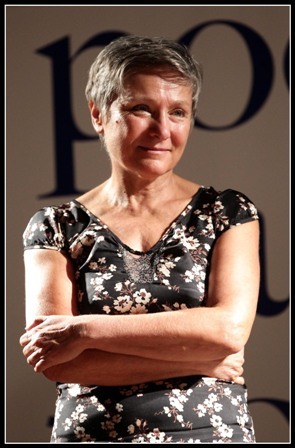 Her books include: Antenata (Crocetti, 1992); Senza polvere senza peso (Einaudi, 2006); Paesaggio con fratello rotto (Luca Sossella Editore, 2007); Bestia di gioia (Einaudi,2010); Sermone ai cuccioli della mia specie (book and CD, Teatro Valdoca, 2012); and Le giovani parole (Einaudi, 2015). She has also collaborated on two art books: Donna che non impara (Emilio Mazzoli Gallery 2003) and photographer Guido Guidi's A Seneghe (Perda Sonadora Imprentas, 2012). Beast of Joy marks the first full-length publication of her work in English. ANTHONY MOLINO is an American-born psychoanalyst and award-winning translator from the Italian. His translations include Antonio Porta's Kisses From Another Dream (City Lights Books, 1987), Melusine (Guernica Editions, 1992) and Kisses, Dreams & Other Infidelities (Xenos Books, 2004); Valerio Magrelli's Nearsights (Graywolf Press, 1991) and The Contagion of Matter (Holmes & Meier, 2000); Lucio Mariani's Echoes of Memory (Wesleyan Universiry Press, 2003) and Traces of Time (Open Letter Books,20l5); as well as two plays, Manlio Santanelli's Emergency Exit (with J. House, Xenos Books, 2000) and Eduardo De Filippo's The Nativity Scene (with P. Feinberg, Guernica Editions, 1997). For Chelsea Editions he has edited Magrelli's Instructions On How to Read a Newspaper and Other Poems (2008), which includes a re-issue of Nearsights. His most recent translation is The Diary of Kaspar Hauser by Paolo Febbraro (Negative Capability Press, 2016), for which he was awarded the 2018 Raiziss/De Palchi Book Prize. Also forthcorning from Negative Capability Press is his co-translation, with Gray Sutherland, of Luigia Sorrentino's Olympia. CRISTINA VITI's recent translations include the first full English version of Elsa Morante's Il mondo salvato dai ragazzini (The World Saved by Kids, Seagull Books, 2016); excerpts from Carlo Emilio Gadda's Journals of War & Prison for the anthology No Man's Land (Serpent's Tail, 2014); and a collection by Albanian poet Gëzim Hajdari (Stigmata, Shearsman Books, 2016). 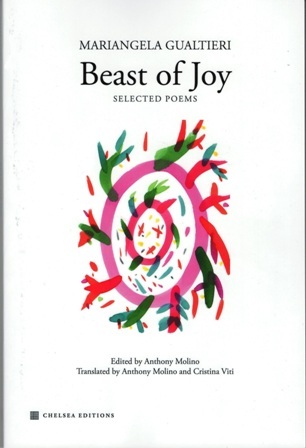 Among earlier works are several volumes of translated poetry including Dino Campara: Selected Works (Survivors' Press, 2006) with the full text of the Orphic Songs, and Mariapia Veladiano's first novel A Life Apart (MacLehose Press, 2013), runner-up for the John Florio Prize). Other translations (including Amelia Rosselli, Clemente Rèbora, Erri De Luca) and/or her own poetry have been published in several reviews including Modern Poetry in Translation, Agenda, Asymptote and The White Review. Forthcoming work includes a translation of a volume of essays by the prominent Italian critic Furio Jesi,Time and Festivity (Seagull Books). se non mi inchino alla tua benedizione. if I do not bow to your blessing. Gli altri sono troppi per me. Others are too much for me. kneaded in silence and wind. streaked with tears. With their dark cubicles. the blood's ignition in check.